. Terri Morales noted after driving the Purple Line’s proposed route, she felt there were many more clusters along the Green Line that made sense as potential stations and places where people would want to go. This makes no sense. The only place a rail line from Hobby should connect to is downtown. Agreed. The Metro Board is too concerned with personal interests instead of what makes sense most of the time. I hope the city stops the Green line idea. The article said that there were more “clusters” along the green line to attract stops. What clusters, Fiesta? No, anything but a direct line downtown from Hobby is crazy. Are you talking about a direct NONSTOP line from Hobby to Downtown? If so, not sure how much demand there is for that line. And routing that line would be difficult. What would you do, take real estate from I-45? There’s a lot more demand and use from two lanes of freeway than converting them to rail (at great expense). 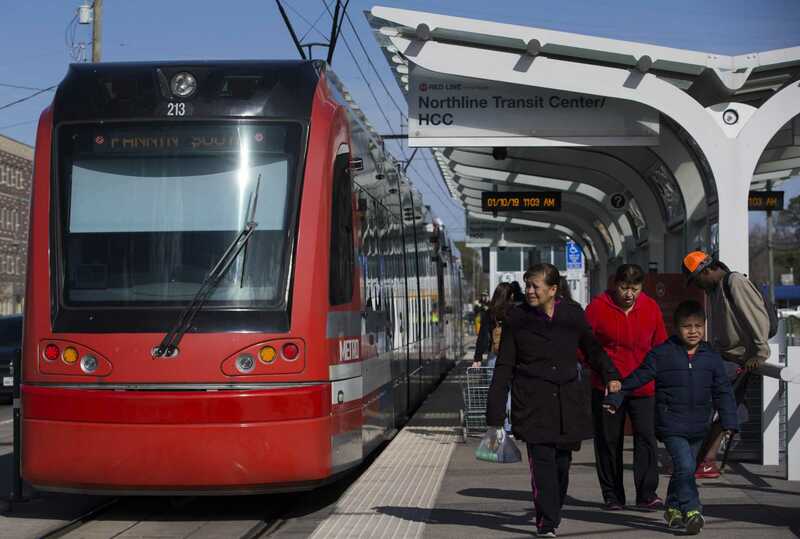 So you’ve already got two existing light rail lines extended at least halfway from downtown to Hobby. Much more cost effective to extend those lines than build something brand new, especially if it’s going to run down I-45 Right-of-Way. No plans at all for rail on OST. Not in the foreseeable future…I think it’s a great idea but I would bet it is decades away. Just the nature of building light rail along existing street ROW. It’s complicated, difficult, and expensive to construct. The rail line will eventually go where the politicians and the money guys decide they can make more money by forcing out small businesses that can’t stand the low or no traffic while the rail is built at a snails pace. They can then swoop in and buy the places at pennies on the dollar and build when the rail is finished. There is a reason so many spend an arm and a leg to get elected to a job that pays fingers and toes.